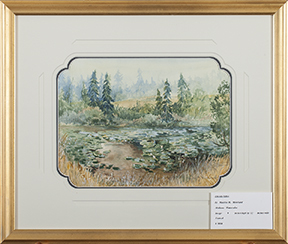 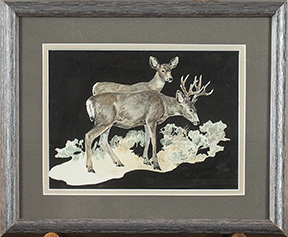 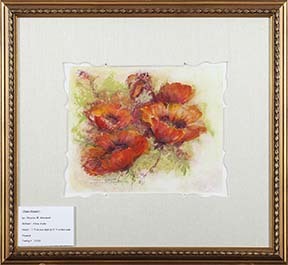 Artist and Certified Picture Framer, Marylee M. Moreland, is the owner of The Meadowlark Gallery and Frame Shop in Billings, Montana along with her husband, Gary Temple. 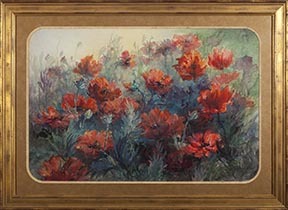 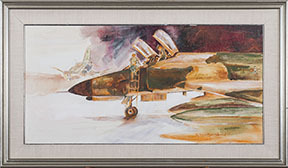 She was an illustrator for the United States Air Force Art Program and her works are part of its permanent art collection. 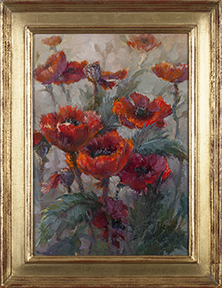 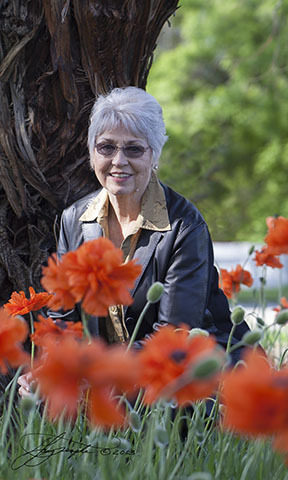 A strong military background as the former spouse of a pilot in the U. S. Air Force lead to broadening her art career. 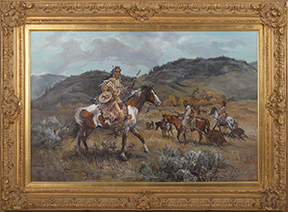 She has been accepted into the C. M. Russell Art Auction and March in Montana Auction several years since 1975. 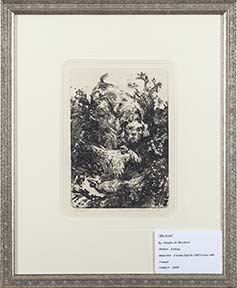 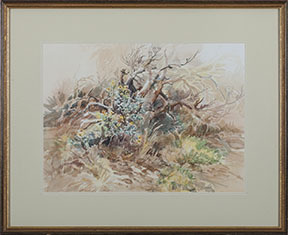 Her primary medium areas are oil, watercolor and bronze. 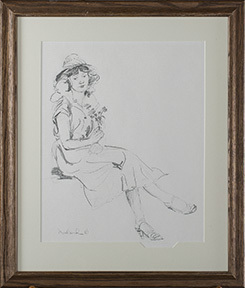 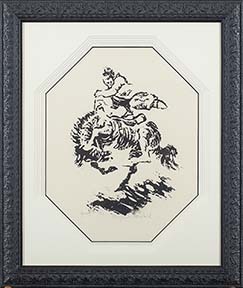 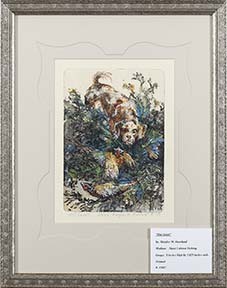 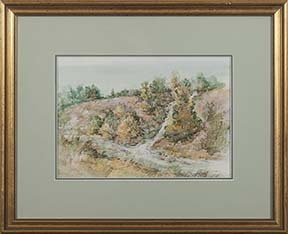 When she also adds her avid knowledge of matting and framing, the two "artists" combine to produce a work as recognizable as her signature alone. 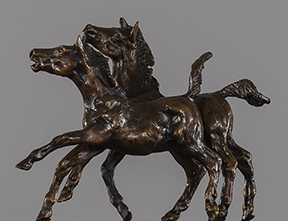 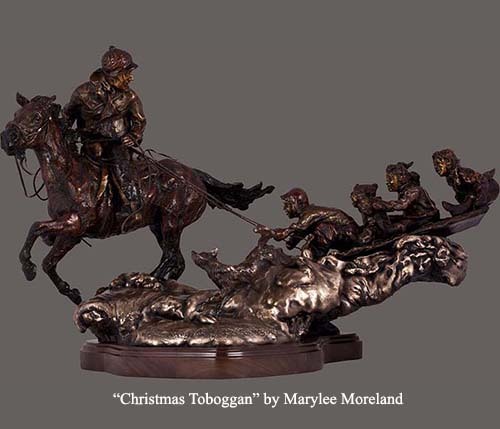 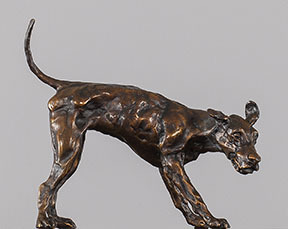 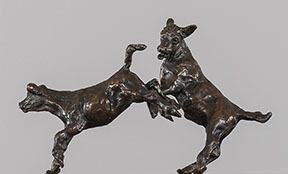 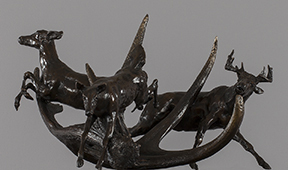 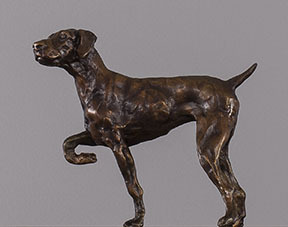 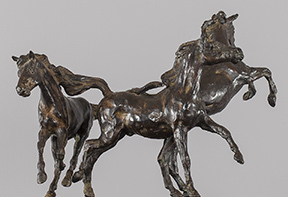 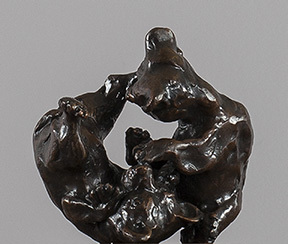 Her work in bronze has included acceptance by jury in the C. M. Russell Art Auction and the March in Montana Auction as well for her high auction sales prices by Southwest Art Magazine. 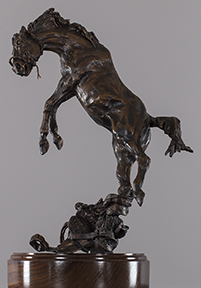 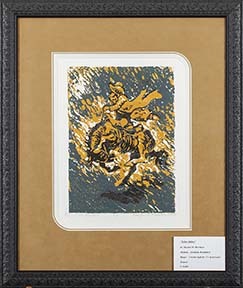 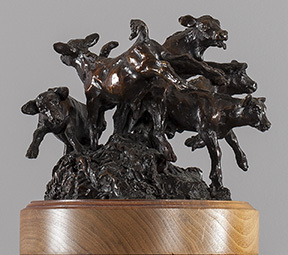 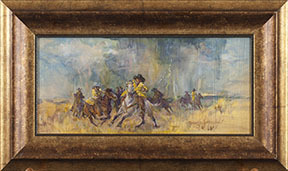 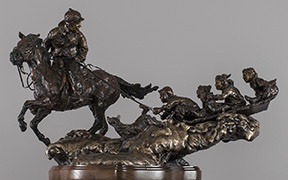 "Loose Cinch" was commissioned by the Western and English Sales Association to be given as the Dennis D. High Award. 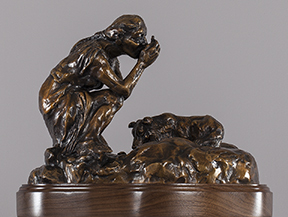 This award honors past officers and associates who have been beneficial to the organization. 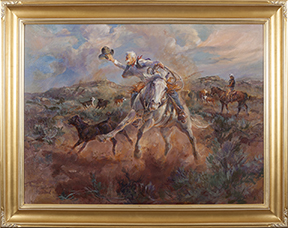 Born and raised in the Birney area of Montana, afforded her the lifestyle of the working ranch. 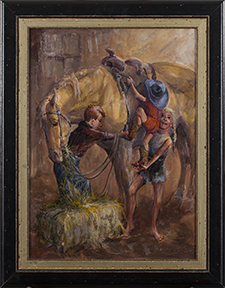 As one of four daughters, her parents expected and received competent working ranch hands in the form of the female gender. 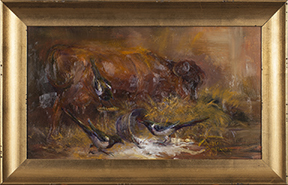 Marylee has often recounted the story of her mother and oldest sister, heading and heeling one of their herd bulls so that they could doctor it. 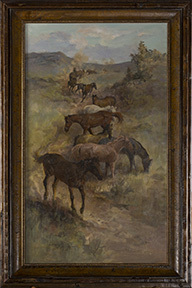 Today, she prefers to watch working ranches from a distance. 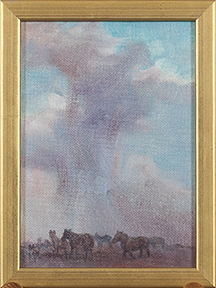 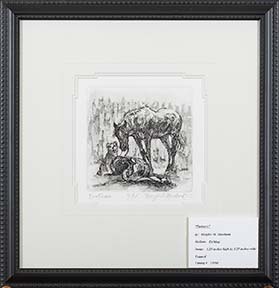 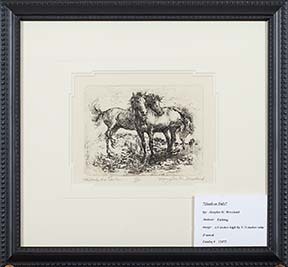 Her vivid knowledge of how a horse is muscled and a cow moves are evident in her artwork. 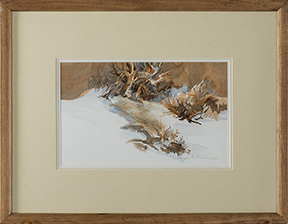 Her education included high school in Sheridan, Wyoming; and then graduating from college at Montana State University with a Bachelors of Science in Art with extended studies at Arizona State University in Tempe, Arizona. 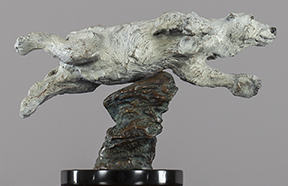 See the whole process for the Gollings monument!! 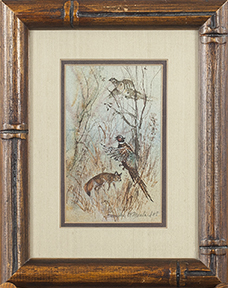 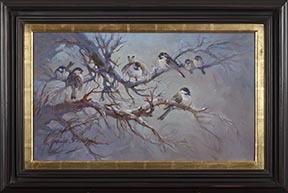 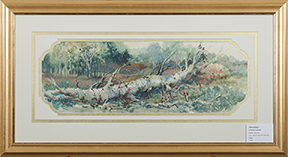 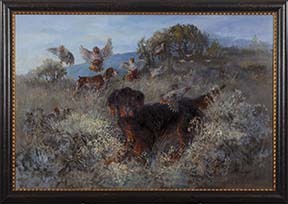 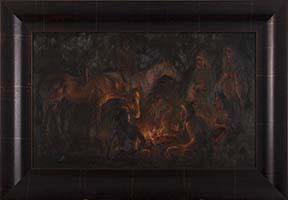 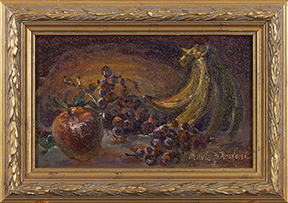 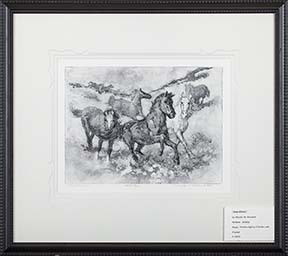 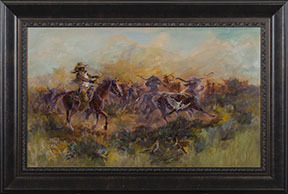 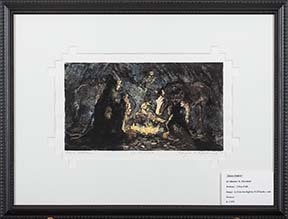 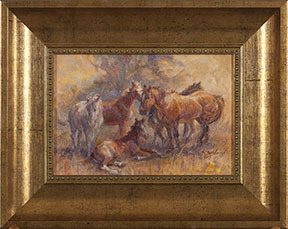 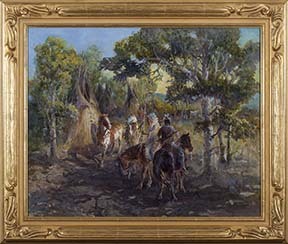 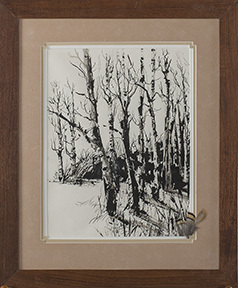 View high resolution images of works by Marylee M. Moreland when available. 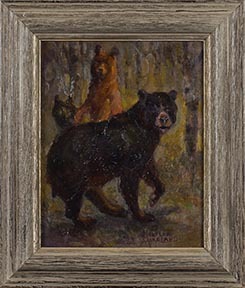 "And Then There Were Three--Black Bear"
"Head for the barn, boys!" 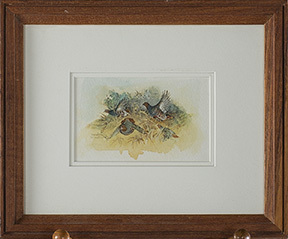 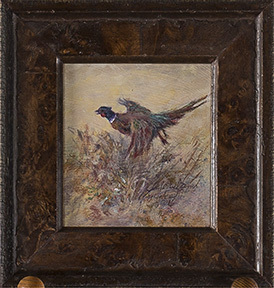 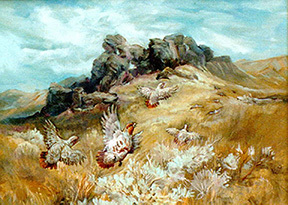 "Hole In The Wall--Hungarian Partridge"